Manor is a Swiss company which is among the leaders on the Swiss retail market. More than one century after the first shop opening, the firm desires to modernize its brand image. 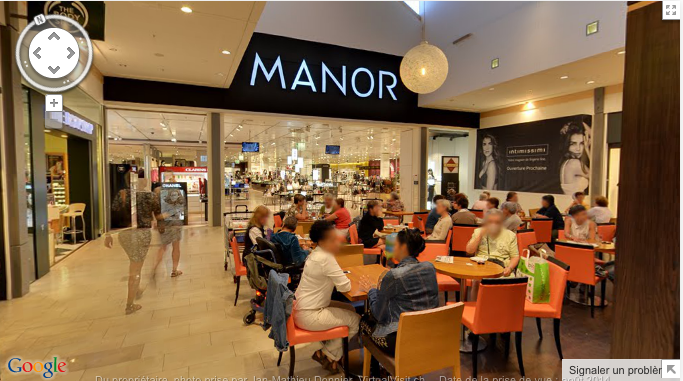 To change its image, Manor associated with globalvision Communication in order to realize a virtual tour of its shops in Chavannes, Sierre, Vevey and Monthay. It is now possible to visit the shops directly from home by going on VirtualVisit. globalvision is a pioneer company which offers professional services in 360° imagery. globalvision is an official partner of Google, and was already associated to several Swiss company, such as the HUG (find more on references), to make virtual tour of its several departments.